How many taps on glass are needed to enter a complex password with length 8? I think it’s probably 15-20 taps. No wonder people make so many mistakes when they type a password on glass. I’ve been using a Samsung Galaxy s4 for a few weeks and have had this feeling that it’s easier to type on it, particularly to type all my different long strong passwords (for banking and other apps where I don’t stay logged in). 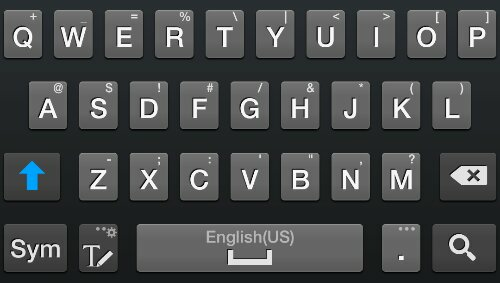 The default keyboard on the Galaxy s4 has 5 rows (most other phone keyboards have 4 rows). The number row is always static at the top and I am so grateful for this huge mobile UX improvement. I have done a lot of user research with people using smartphones and tablets. I regularly see people (“consumers”) repeatedly try to type their password on a phone and fail. 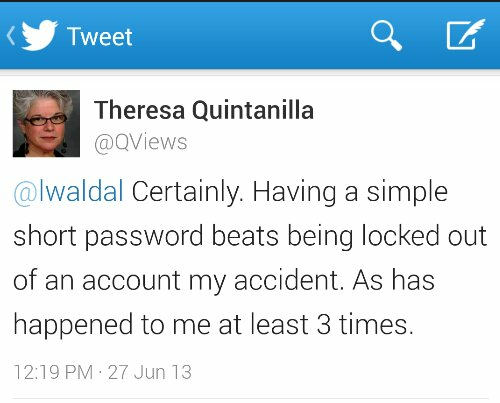 I also hear stories about creating simpler (less secure) passwords that are easier to type on glass. So I have this guess, idea, thought, theory that smartphone usage is dumbing down passwords because it’s not easy to type a complex password on a phone. I noticed I have simplified a few passwords for (silly) apps where I’m not concerned about security. I made up a password with length 8 9 and a mix of uppercase, lowercase, number, characters. Then I typed this password on 5 different smartphones and counted how many taps were required. WINNER! The Galaxy s4 wins this ease of use contest with only 16 taps. Still I hit the backspace key at least twice. The HTC Windows Phone 8 comes in second matches the others with 17(oops) 18 taps required to enter that password. The iPhone5 and HTC One and Galaxy s3 are the most difficult, requiring 18 taps. 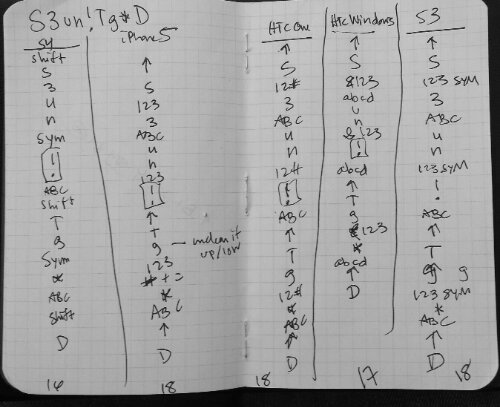 Here are my notes where I wrote down each key tap on each phone while taptyping the password. I originally missed typing the “3” on the Windows phone in these notes. It’s only a difference of 2 taps but I noticed and felt the difference when I did this research exercise. It’s often frustrating and painful to type a complex password on glass so saving 2 taps brings relief. The iPhone keyboard particularly frustrates me because tapping shift doesn’t change the case of the letters on the keyboard. I made more typing mistakes on it. 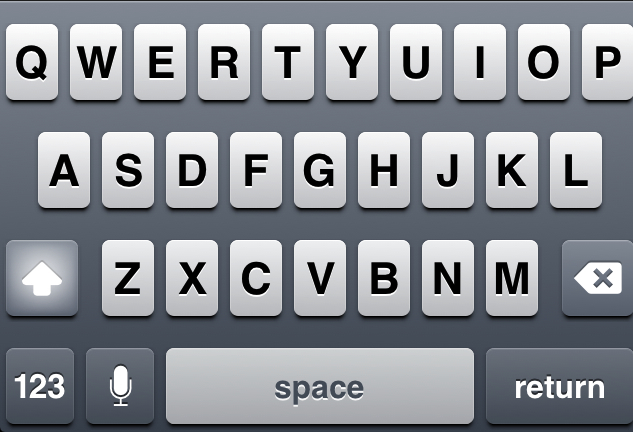 The other phone keyboards change the display/case of the letters when shift/arrow is tapped. Here is the iPhone keyboard where it’s tricky to differentiate between which keyboard is typing lowercase and which is typing uppercase. 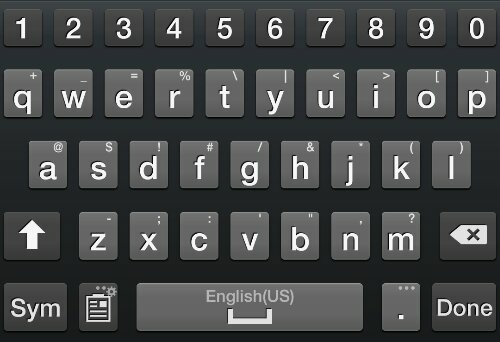 Here is an Android keyboard with and without shift/arrow tapped. 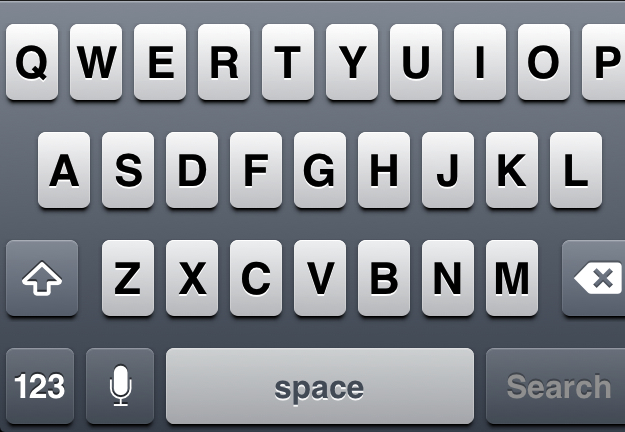 It’s super easy to see if you are taptyping uppercase or lowercase. What’s the solution? Here’s an idea: look at your phone’s keyboard and create passwords that require the least number of taps on those shift, arrow, ABC, 123, SYM keys. For example, I can type B8kx74$! @ in 11 taps on the Galaxy s4. When you create or change a password, keep your phone keyboard in mind. You can create a “strong complex” password that requires fewer taps on your phone to type it. Create a Strong Password That is Easier To Type On Your Phone! For Android: One+ of ! @ # $ & * ? You can also switch around some of this and still keep it easier to type, for example, start with one uppercase, then do lowercase letters. Don’t dumb down a password just for a smartphone! This post was created and entirely taptyped on a Samsung Galaxy s4. Its 5row keyboard is a much better user typing experience.